Is Belgium a failed country? From an American perspective, probably a lot of countries would be classified into that section. Let me take the example of the “respect of the law”, directly related to the news. 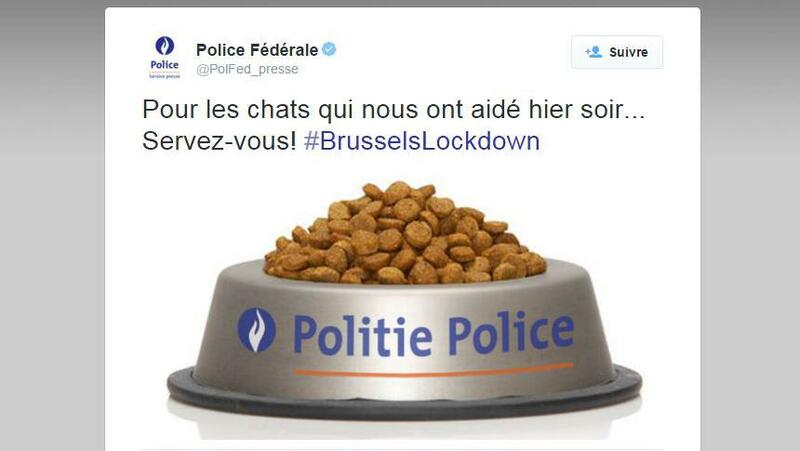 When the Belgian Police decided to launches 6 searches in different corner of Brussels, they simply ask through Internet the collaboration of journalists and surfers to be quite, not to divulgue what they were watching, to avoid the terrorists to be informed. And it worked: NO ONE transmitted anything. Even more spectacular, the surfers started to use a cat in funny position to illustrate the moment. Dear American reader, could you imagine your journalists playing the game? the FBI publicizing the picture I join? Such complicity between the citizens and the Police is difficult to describe, while Police force will close their eyes in specific circumstances. The sociologist Prof Hofstede findings shown clearly that the more a culture is “individualist”, the less citizens like intervention in their life by the State. At the opposite of the scoop, culture more “collectivists” are willing to be guided by the State, and expect Law and Rules to abounded. Belgian and France are out of this scoop. French and Belgians are very “individualistic”, but want a firm authority. Therefore, YES we have a strong “Rules of Law” and YES everybody understand that, sometimes, the laws and rules are so elaborated that one can sometimes not strictly follow them. Previous Post Bribery in not a Worldwide sin! Next Post For the Truth seekers….